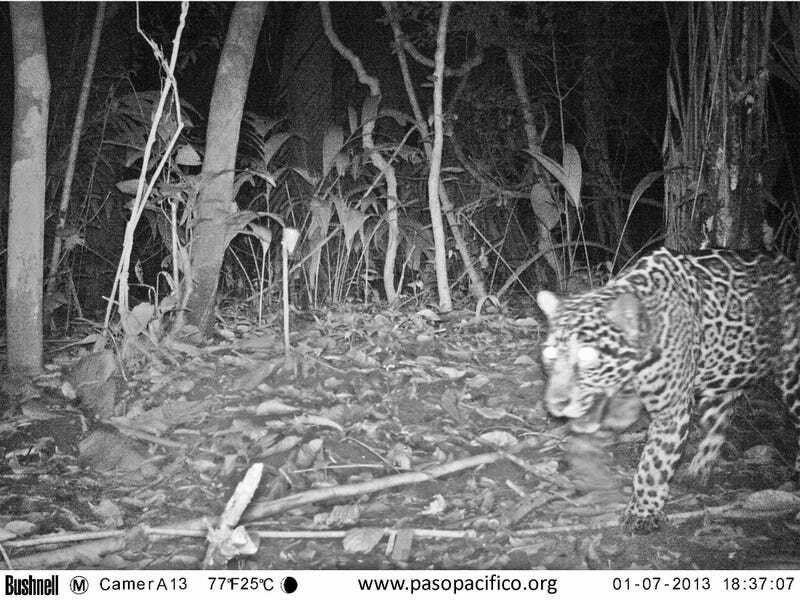 Researchers will often use camera traps to document a region's rare or elusive animals – big cats like jaguars being a classic example. Now, a biologist conducting field work in the Amazon has revealed a trade secret for luring jaguars like the one pictured above into having their photos taken: "Obsession," by Calvin Klein. Yes, really. According to [Miguel Ordeñana, a biologist with the Natural History Museum of Los Angeles], a Bronx Zoo researcher once tried a bunch of different scents and discovered that jaguars really liked the Calvin Klein cologne. A researcher might spray some of the cologne on a tree branch that sits within the camera’s field of view. What is it about "Obsession" that jaguars find so appealing? Head on over to SciAm to find out.